JACKSONVILLE, Fla. - April 26, 2012 - CSX Corporation (NYSE: CSX) employee Keith Ebbeskotte was named an honoree for the John H. Chafee Environmental Award. Presented by the Association of American Railroads, this award recognizes members of the railroad industry who have demonstrated outstanding environmental awareness and responsibility. At a ceremony last night in Washington, D.C., Ebbeskotte was one of just six honorees selected from the more than150,000 employees in the railroad industry. "Keith's dedication to improving CSX's environmental footprint is a credit to our entire industry," said Edward J. Hamberger, president and CEO of the AAR. "His leadership of a stellar team and devotion to programs that reduce greenhouse gas emissions, energy use and waste improve the quality of life for our employees and the communities we serve." As plant manager of work equipment at CSX's Bryan Park Work Equipment Shop in Richmond, Va., Ebbeskotte leads a team that has compiled an outstanding record of compliance with all environmental regulations covering hazardous and non-hazardous waste handling, recycling and wastewater treatment. The Bryan Park Shop is the largest of its type in North America and was the first facility to receive CSX's Platinum Award for Environmental Compliance in 2011 under Ebbeskotte's direction. "Keith and his team exemplify all the core values of CSX," said Ellen Fitzsimmons, senior vice president of law and public affairs, general counsel and corporate secretary. "Their tireless work has improved the environment near their home towns and has contributed to CSX's stewardship of the environment across the company's network." In addition to his leadership, Ebbeskotte is an innovator who initiated a wide variety of improvements that raised productivity and provided a more environmentally-friendly workplace. 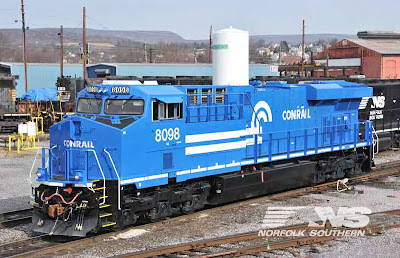 Among his many accomplishments, he assisted in reducing CSX's carbon footprint and air emissions by helping to install low emission engines in all new and rebuilt equipment. 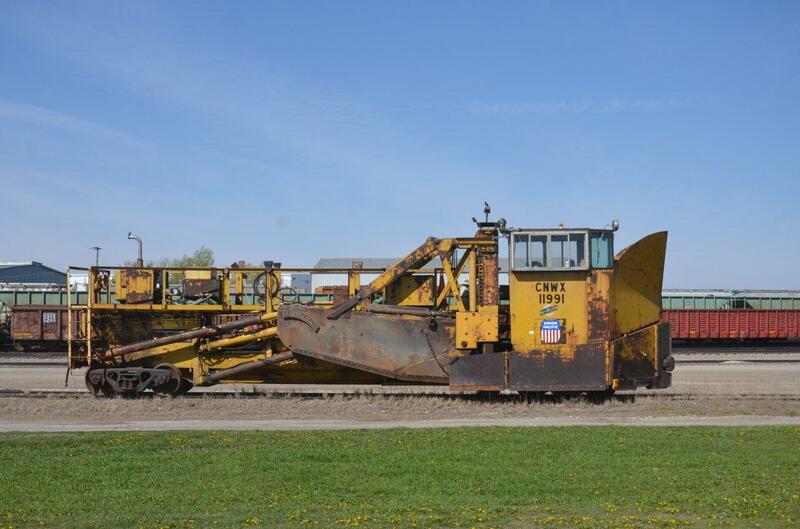 This type of equipment now represents 25 percent of the CSX fleet. The annual Chafee Award is named for the late Rhode Island senator who devoted his career to protecting the environment. us on Facebook (http://www.facebook.com/OfficialCSX) and follow us on Twitter (http://twitter.com/CSX). JACKSONVILLE, Fla. - April 25, 2012 - CSX Corporation (NYSE: CSX) was named to the Maplecroft Climate Innovation Leader Index, one of three Maplecroft Climate Innovation Indices that rank U.S. companies on their leadership in climate change mitigation and management. At No. 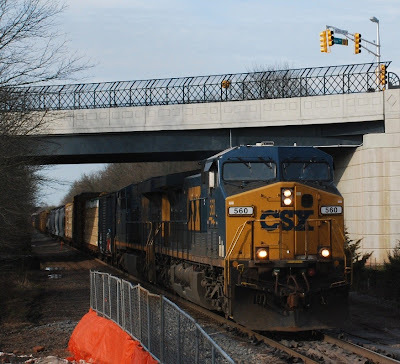 81, CSX is the highest-ranked Class I railroad included in this year's index and the only railroad featured on the top 100 Climate Innovation Leaders list. "At CSX, environmental stewardship is a way of life - one that infuses all of our operations," said Skip Elliott, vice president of public safety and environment, CSX. "We're proud to be recognized among many of the top American companies for preserving the environment in the communities where we live and work." The Maplecroft Climate Innovation Indexes measure climate-related performance, including management, mitigation, emissions reduction, innovation and adaptation, as disclosed publicly by the top 360 U.S. companies. Innovation of new technologies or initiatives makes up half of the total score for each company. CSX received particularly high marks in management, related to disclosures, targets and supply chain; and mitigation, related to partnerships and efficiency in operations. Since 1980, CSX has improved its fuel efficiency by more than 90 percent. In the past ten years, CSX has invested more than $1.75 billion to upgrade its fleet of fuel efficient locomotives. 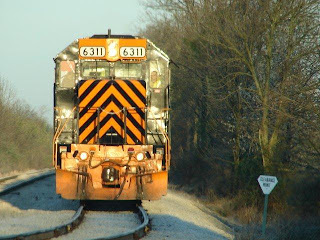 In 2010, CSX achieved its voluntary goal ahead of schedule to reduce greenhouse gas emissions intensity by 8 percent per revenue ton mile, decreasing emissions by 1.5 million metric tons. For more information about CSX's environmental initiatives, visit http://www.csx.com/index.cfm/responsibility/environmental-leadership/. For more information on the Maplecroft Climate Innovation Indexes, visit http://maplecroft.com/cii/cycle/three/. http://www.csx.com/. Like us on Facebook (http://www.facebook.com/OfficialCSX) and follow us on Twitter (http://twitter.com/CSX). NORFOLK, VA. – Norfolk Southern Corporation (NYSE:NSC) announced today that 45 customers have earned the company’s Thoroughbred Chemical Safety Award for their safe handling of chemical products in 2011. 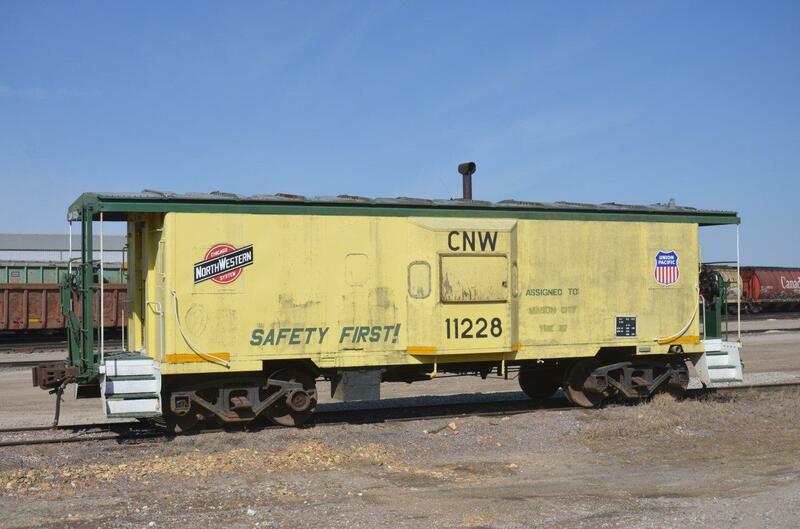 Given annually for 16 years, the award recognizes companies and facilities that ship more than 1,000 carloads of federally regulated hazardous material over Norfolk Southern’s rail network without incident for the year. In 2011, 39 corporations and six plants achieved that goal. Altogether, these customers safely shipped more than 128,000 carloads of chemical products that are used in the manufacturing of various consumer goods. These shipments include industrial chemicals, petroleum products, biofuels, and sulfur – all vital to consumers and the U.S. economy, but potentially dangerous if mishandled. Archer Daniels Midland plant at Decatur, Ill.
BP plant at Whiting, Ind. Eastman Chemical Company plant at Kingsport, Tenn.
Olin Chlor Alkali Products plant at McIntosh, Ala.
Olin Chlor Alkali Products plant at Nixon, Ga. 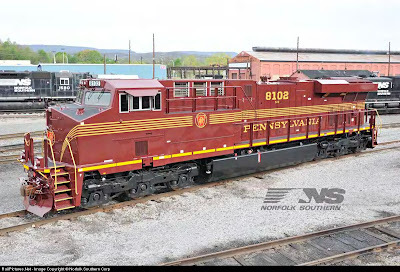 This morning Norfolk Southern released the sixth of nineteen Heritage Series locomotives...the NS Pennsylvania Railroad ES44AC #8102. 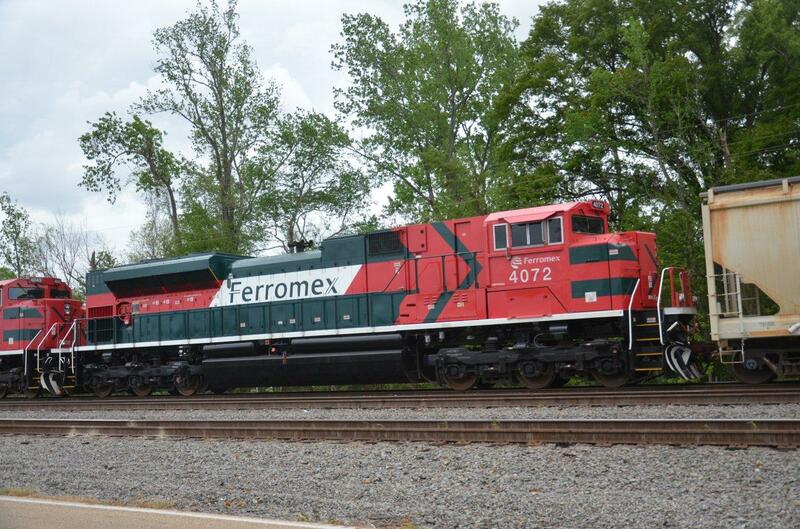 The unit is painted in classic PRR Tuscan Red with Gold striping, lettering and road numbers. The fuel tank underframe and truck sideframes are painted in standard NS black. The PRR Keystone is applied on the nose front, rear end and on both sides of the long hood directly behind the cab. Finally all walkway areas and the low nose top are painted in flat anti-skid black. As with the NW Blue the PRR colors seem to change at every angle that you view the unit and as the light...or lack of light changes. While we were in Altoona with the unit we were not blessed with sunshine and blue skies...and had to accept the cloudy skies that obstructed the sun while on site. Above and below I have attached a number of views for you to check out...you can rest assured we will have the colors that match the prototype on our models when the HO models start to arrive in Spring 2013. As I create this message we are heading south through Virginia on our way to Chattanooga, TN to photograph the next Heritage unit that we will send images of tomorrow evening. 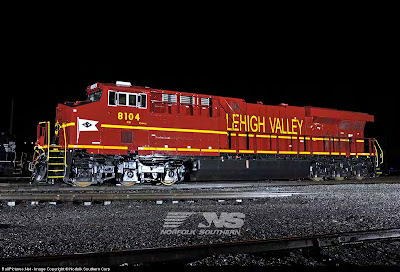 Only three more GEVO units remain to be painted in the Heritage series before we start to see the SD70ACe units painted in ten Heritage paint schemes. 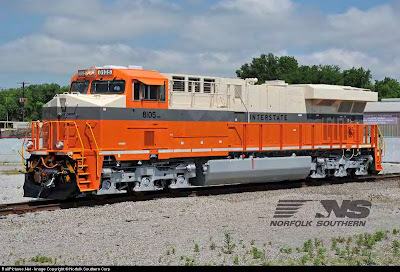 We will have a short break in the release announcements until the first SD70ACe units begin to roll out of the Progress Rail Plant in our home town of Muncie. Trust me that we really love all of the travel...but it will be a nice change to travel across town to photograph and capture all of the details of the last 10 units. Be sure to get your pre-orders in now with your favorite Overland Models Dealer as production will be limited and set about 30 days after all of the NS Heritage ES44AC units are completed. S scale brass model OMI #yet to be announced and please advise if you are interested. 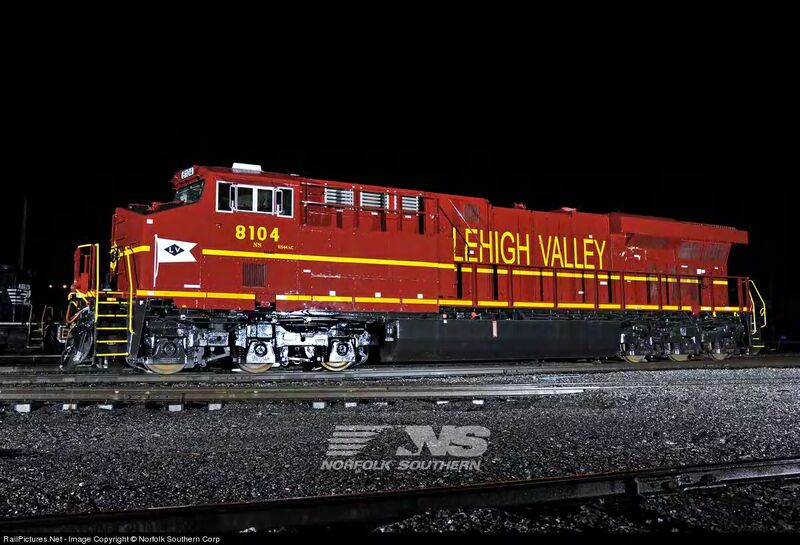 I thank all the folks of Norfolk Southern with special appreciation to the Altoona, PA Norfolk Southern Paint Shop. 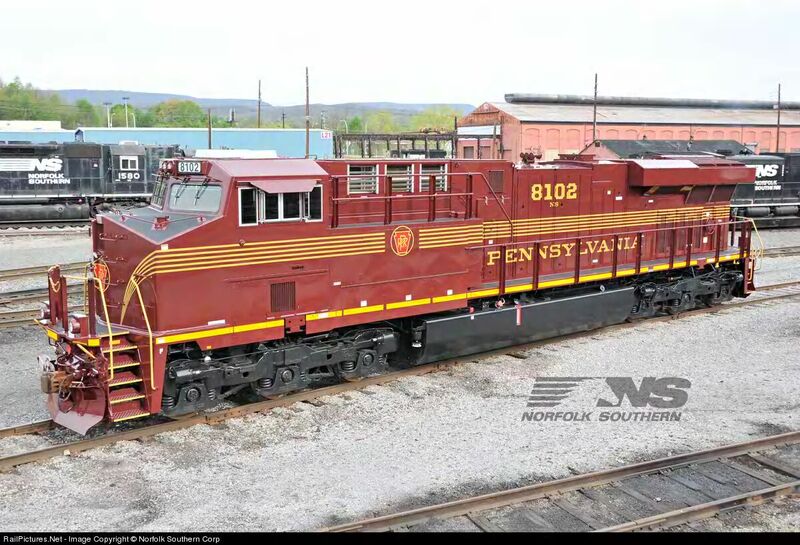 Missy and I hope that the NS #8102 with its PRR Heritage paint will be of interest to you and that you will contact your favorite Overland Models Dealer to place your order. You can find a complete price list at http://www.overlandmodels.com/. Look for the price list link on our home page directly below the words BUILT TO INSPIRE and to the left of the large model image on the homepage. In this elevated view I was able to capture the unit just before we departed with some filtered sun on the nose and sides. You can see the front and side mounted PRR Keystone and Pennsylvania lettering, engine compartment placed road numbers and NS sub-lettering. 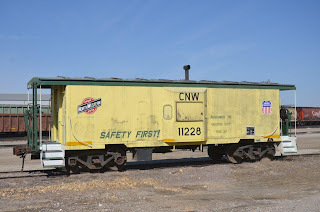 With the the damaged hopper being moved out of the Union Tank shop at the south end of the shop area the white PTC antennas blend into the car body. In this more traditional roster view the Tuscan red really jumps out against the soupy gray sky that draped over Altoona for the entire morning and part of the afternoon. Just as we were preparing to leave I captured this image of the right side...notice the small mirror has not yet been applied. Here you can also get a nice view of the PRR nose logo as well. The rear of the unit features the PRR Keystone and 5-stripes wrapping around the rear of the unit. Also you can see large PRR style road numbers. The image was made prior to the paint shop installing all of the hoses but this allows us to show off the ECP equipment and electrical connections mounted immediately to the right of the coupler. · Railway operating revenues increased 6 percent to $2.8 billion. · Income from railway operations improved 24 percent to $745 million. · Net income increased 26 percent to $410 million. · Diluted earnings per share rose 37 percent to $1.23. 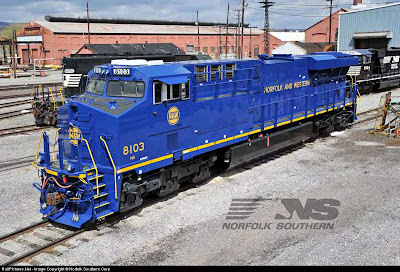 NORFOLK, VA. – For the first quarter of 2012, Norfolk Southern Corporation reported net income of $410 million ($1.23 per diluted share), 26 percent higher than $325 million ($0.90 per diluted share) for the first quarter of 2011. First-quarter 2011 results included a $58 million non-cash charge that reduced net income by $36 million, or $0.10 per diluted share. Compared with the first quarter of 2011, in the first quarter of 2012: Railway operating revenues improved 6 percent to $2.8 billion, primarily as the result of a 5 percent increase in revenue per unit; general merchandise revenues improved 13 percent to $1.5 billion; coal revenues declined 6 percent to $766 million; and intermodal revenues improved 9 percent to $527 million. Railway operating expenses for the quarter were $2 billion, up 1 percent compared with first-quarter 2011. The increase was largely due to higher fuel prices, compensation costs, and materials expenses, offset in part by the absence of last year’s non-cash charge. Income from railway operations for the first quarter increased 24 percent to $745 million compared with the same period of 2011. The first-quarter railway operating ratio improved 5 percent to 73.3 percent compared with first-quarter 2011, and equaled our first-quarter record. NORFOLK, VA. – Norfolk Southern Corporation today announced the regular quarterly dividend of 47 cents per share on its common stock, payable on June 11, to stockholders of record on May 4. 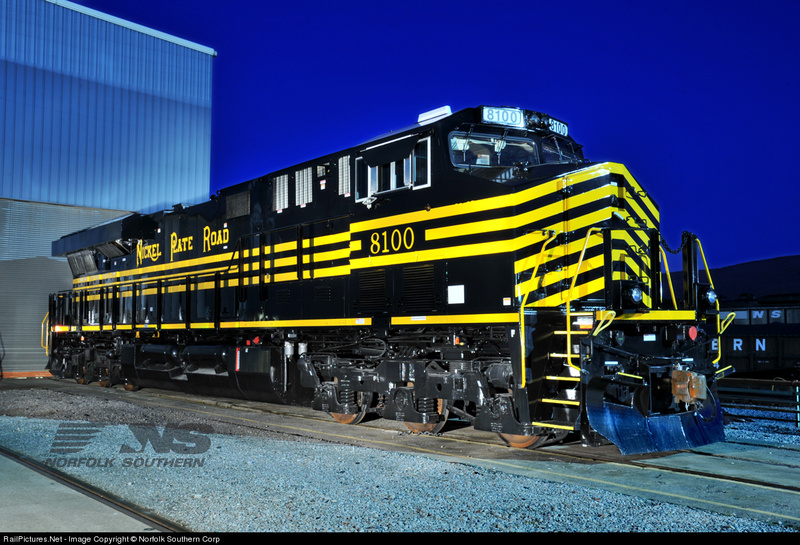 Since its inception in 1982, Norfolk Southern has paid dividends on its common stock for 119 consecutive quarters. Take time to visit the Wilmington Railroad Museum. 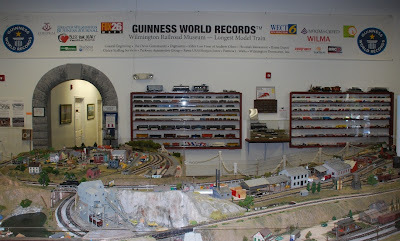 Started in 1979 by three women and a table of Atlantic Coast Line (ACL) Railroad artifacts, the Wilmington Railroad Museum was dedicated to preserving the rich history of the ACL Railroad and a general history of railroading in the southeastern United States. By 1983 this museum found a home in the former ACL Freight Office Building. In 2007 the Museum would move to an authentic 1883 railroad freight warehouse, a setting that contributes to the railroad environment when looking at all this museum has to offer. Their museum displays cover a wide array of railroading topics. 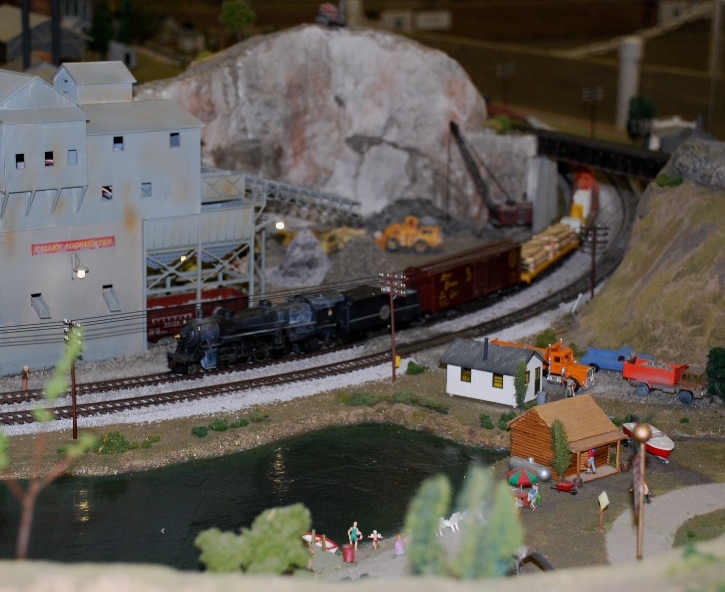 These displays and artifacts helped to illustrate various aspects of railroading. One of the cabinets that caught my attention was about the railroad police. A police ledger was shown that recorded the culprit’s name, the offense and penalty or fines that person was made to pay. Reading some of the entries, trespassing on railroad property was a punishable offense and a problem even back then in the early 1900’s. 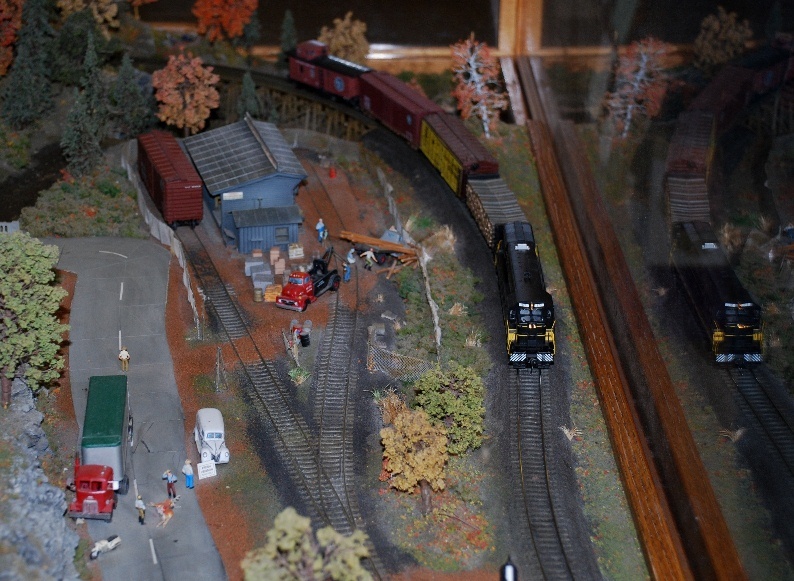 There are also two fine model railroad layouts on display within the museum. The first layout greets the visitor in the lobby where tickets are purchased. The person who designed this layout showed a lot of imagination and creativity when building this one. Entering into another room, a visitor comes face-to-face with an even bigger layout. One museum feature related to these layouts was a checklist list of various scenes the visitor could try and locate that was found on both layouts. In a subtle way, these lists would make a visitor look at little closer to try and determine where these scenes were located on the layout. Being a part time model railroader myself, these two layouts also provided me with some ideas for scenes to be added to my home layout. So should you find yourself in Wilmington, NC, take some time to visit this museum. It will be a stop that you won’t regret making. 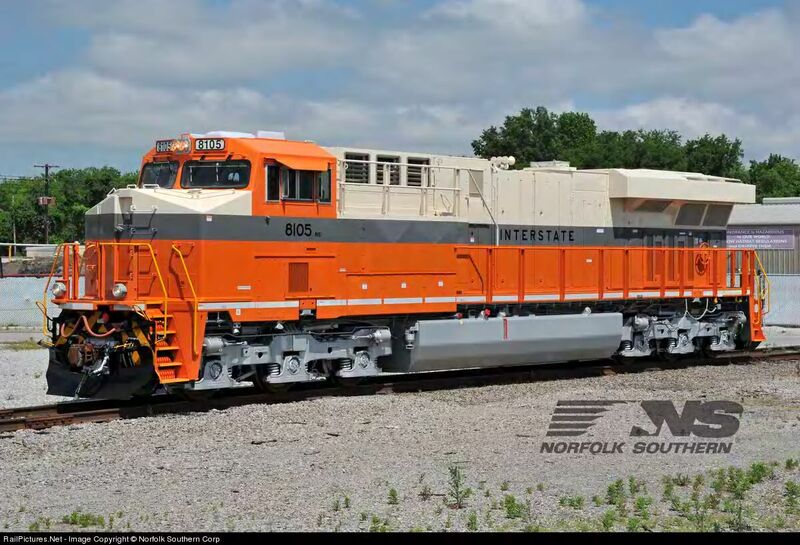 Here are more photos of NS locomotives painted in various heritage paint schemes. Also see our posting on Wednesday, April 4, 2012 for more photos. JACKSONVILLE, Fla. - April 20, 2012 - The Military Officers Association of America (MOAA) has named CSX Corporation (NYSE: CSX) the recipient of the 2012 Distinguished Service Award, a recognition of CSX's continued emphasis on hiring and supporting active duty and veteran men and women. Nearly one in five CSX employees is a veteran of the armed services. In 2012, the company plans to hire approximately 1,000 veterans - part of its pledge to the White House's Joining Forces initiative. CSX also supports employees engaged in the National Guard or active Reserve by extending salary and benefits to employees called up to active duty. "Veterans make our business better by bringing accountability, teamwork and commitment to their civilian jobs, just as they do in the military," said Lisa Mancini, CSX senior vice president and chief administrative officer. "Our military employees take pride in achieving excellence." CSX serves more military facilities than any other major U.S. railroad, handling thousands of carloads annually for both overseas deployments and training exercises. CSX's commitment to military support has been recognized by others - the company is the only two-time recipient of the Secretary of Defense Employer Support Freedom Award and is regularly ranked in the top three on G.I. Jobs magazine's Top 100 Military Friendly Employers list. Since 1997, the MOAA has presented its annual Distinguished Service Awards to congressmen, staffers, and organizations that support America's service men and women and their families. This year, CSX is one of two non-congressional organizations receiving this honor, along with the Honor Flight Network. 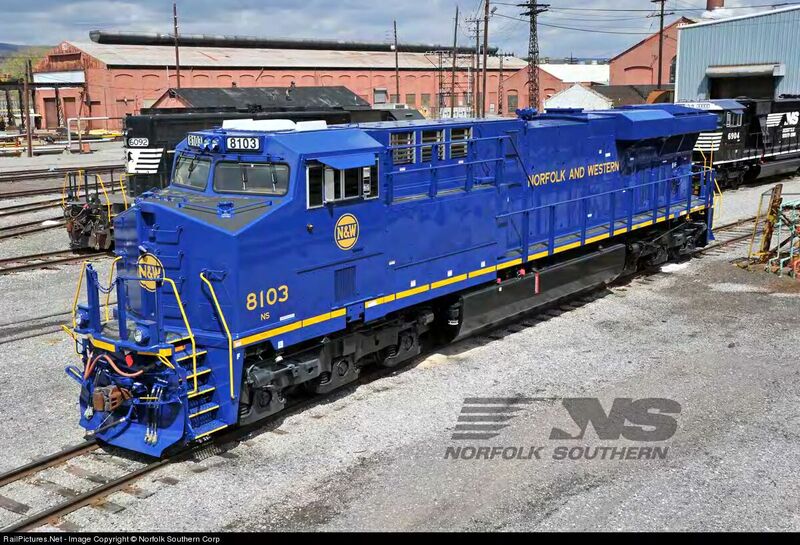 NORFOLK, VA -- Norfolk Southern (NYSE: NSC) has been recognized for outstanding performance in measuring and reducing its emissions. The American Carbon Registry gave Norfolk Southern its Corporate Excellence award for making a public commitment to reducing CO2 emissions 10 percent below 2009 levels by 2014 and for reaching nearly 40 percent of that five-year goal in the first year. The American Carbon Registry, a non-profit enterprise of Winrock International, is a leading carbon offset program recognized for its strong standards for environmental integrity. Founded in 1996 as the first private voluntary GHG registry in the world, ACR has set the bar in the global voluntary carbon market for offset quality and operational transparency and continues to lead innovation. JACKSONVILLE, Fla. - April 20, 2012 - To celebrate Earth Day and Earth Month, CSX Corporation (NYSE: CSX) is continuing its long-standing commitment to environmental sustainability by organizing a series of local events across its network and remaining focused on environmentally-friendly business practices. In addition, the company is working to raise awareness about the importance of protecting the environment by holding an online contest on the company's Facebook page. "We look forward to volunteering our time and resources each year to celebrate Earth Day, but our commitment to the environment is much more than a one-day event," said Skip Elliott, vice president, public safety and environment. "CSX works to make every day Earth Day by reducing the company's environmental footprint and supporting sustainable development." Throughout April, the environmental field service managers in many of CSX's field locations are hosting the company's fourth-annual city cleanups. Employees and volunteers will pick up trash and conduct other beautification efforts in Montgomery, Ala.; Waycross and Savannah, Ga.; Riverdale, Ill.; Avon, Ind. ; Corbin, Ky.; Hamlet, N.C.; Selkirk, N.Y.; Columbus and Cleveland, Ohio; Nashville, Tenn.; and Philadelphia. In addition, on Earth Day, April 22, CSX is sponsoring the Anacostia Watershed Earth Day Cleanup & Celebration in Washington, D.C., where more than 2,000 volunteers will remove trash at more than 40 sites along the watershed. That same day, in CSX's headquarters city of Jacksonville, CSX employees will staff booths at the city's Ecology Fair at the Jacksonville Landing and sponsor the City of Jacksonville's Earth Day poster contest for children. The following weekend in Charlotte, N.C., the company is partnering with customers for "The Great Charlotte Cleanup," a local cleanup effort tied to the Keep America Beautiful, Great American Clean Up. "These activities are just some of the ways in which CSX contributes to environmental stewardship throughout the year, both through volunteering efforts and operational decisions," said Tori Kaplan, assistant vice president, corporate social responsibility. Since 1980, CSX has improved its fuel efficiency by more than 90 percent, and with constant innovation, freight rail becomes more efficient every day. In the past five years, CSX has invested more than $1.75 billion to upgrade its fleet of fuel efficient locomotives. Last year, CSX introduced an updated online carbon calculator that makes it easy for customers and consumers to understand the emissions savings that freight rail can deliver. Located on CSX's website, this tool helps customers and consumers optimize supply chains and bring goods to market more sustainably than ever before. Across the network, CSX protects local ecosystems through its Trees for Tracks program, the company's pledge to plant one tree for every mile of its 21,000 mile system. To date, the company has planted nearly 17,000 trees. These new trees improve air quality, offset carbon emissions, improve wildlife habitats and add beauty to the communities CSX serves. CSX annually recognizes its customers who demonstrate continued dedication to safety in the transportation of hazardous materials through its Chemical Safety Excellence Award. This year, CSX named 61 winners, who had each shipped more than 600 carloads of hazardous materials during the year without a non-accidental release. CSX's Earth Month celebration has also moved online this year. Participants can enter the Environmental Pursuit contest by "liking" the official CSX Facebook page (http://www.facebook.com/OfficialCSX) and testing their environmental knowledge through a weekly interactive quiz by 11:59 p.m. EDT on April 30. In addition to the weekly prize winners, three grand prize winners will also each receive $1,000 from CSX, with a $1,000 matching donation provided to a charitable organization selected by each winner. For more information on CSX's commitment to environmental sustainability or to learn how to get involved in local Earth Day volunteer activities, visit http://www.csx.com/. CSX Corporation, based in Jacksonville, Fla., is one of the nation's leading transportation companies, providing rail, intermodal and rail-to-truck transload services. The company's transportation network spans approximately 21,000 miles, with service to 23 eastern states, the District of Columbia and two Canadian provinces. CSX's network connects more than 240 short line railroads and more than 70 ocean, river, and lake ports. More information about CSX Corporation and its subsidiaries is available at http://www.csx.com/. Like us on Facebook (http://www.facebook.com/OfficialCSX) and follow us on Twitter (http://twitter.com/CSX). Following article is from TribToday.com, a web site of the Warren, Ohio Tribune Chronicle newspaper. 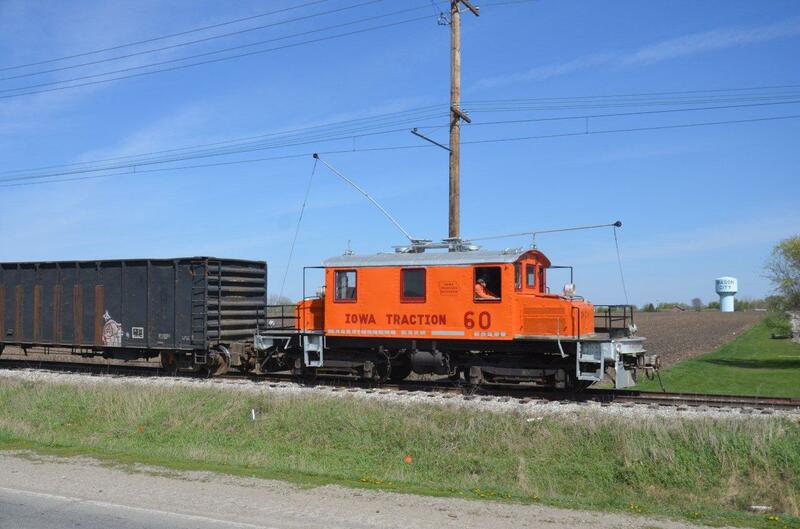 A Canadian company signed an agreement to buy the former Youngstown & Southern Railroad from the Columbiana County Port Authority. Privately held Tervita Corp. of Calgary, Canada, will pay $2.9 million in cash for the 36-mile rail line between Youngstown and Darlington, Pa., the Port Authority said. Tracy Drake, chief executive officer of the Port Authority, said similar short lines in Pennsylvania are benefiting by carrying pipe, sand, water and other material needed by companies drilling in the Marcellus and Utica shale natural gas fields in western Pennsylvania and eastern Ohio. "My expectation is, the way the industry is going, this will be a pretty profitable move for Tervita," Drake said. The Port Authority owned the rail line for at least 10 years. Drake said it paid its way in good economic times and was a drain in bad times, but he said it was important to preserve it as an asset to the region. Received the following via email from Kermit Geary, Jr. The photos are his. 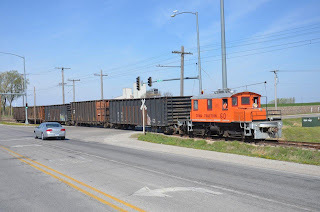 On Saturday, 4-14-12, UP sent one of two REAL HERITAGE units left in the C&NW scheme on a power move to Global 4 in Rochelle, IL to pick up cars and head west. 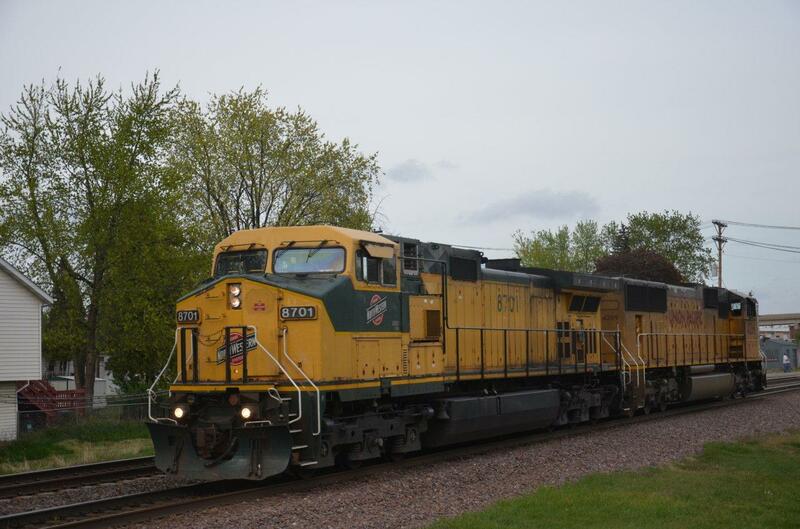 Kermit was trackside in Rochelle, IL to record its passage. 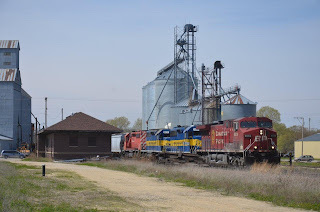 Iowa is always full of surprises, both scenery wise and rail wise. There are still lots of remnants of the CNW that are still active along the extremely busy mainline west from Chicago. And the shortline scene is active with the CRIC, IANR, IATR just to list a few. The shot of the UP 6511 reminds me of just why I love driving US 30 through the Midwest....miles and miles of side-by-side pace roads to watch and photograph trains!! Received the following via email from Kermit Geary, Jr. Text, photos and captions are his. 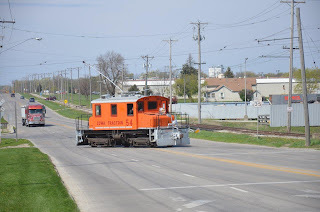 The only rail operation like this in the United States is in Mason City, IA and anytime I am near, a visit is required! Always a thrill to see these nearly 100 year old electric motors shuttling cars around like they were built yesterday! 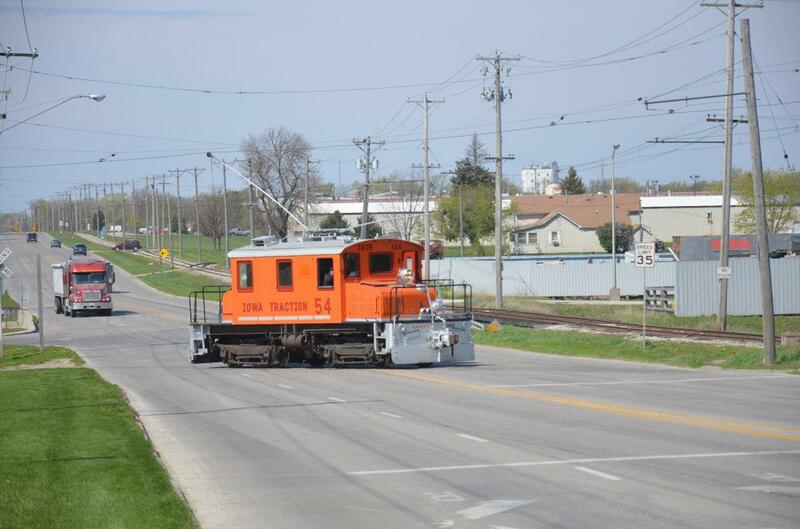 If you are ever in Mason City, IA, be sure to stop in and say hi to the crews who operate this active railroad. one block from the Rutherford Train Station. Feel free to pass this on to others. Received the following announcement via email. Click on the picture to see it full size, then use your browser's BACK button to return here. Note that this announcement is on 2 pages. We have a number of previous postings on this project going back over a year - too numerous to list here. Route 206’s Bridge project is in its final stages as NS 9214 (C40-9W) and NS 9966 (C40-9W) bring a heat exchanger west over the CSX’s Trenton Line at Belle Mead (MP 50), NJ on April 15, 2012. The heat exchanger is destined for eventual overseas shipment from Philadelphia. Dirt embankments adjacent to the ex-RDG station now provide a safe vantage point to photograph CSX trains on this line. Prior to the old Route 206’s bridge removal, views from this location were not possible. It also illustrates how deteriorated and vandalized both structures have become over time. Note the partially collapsed roof on the smaller structure. JACKSONVILLE, Fla. - April 17, 2012 - CSX Corporation (NYSE: CSX) today announced first quarter net earnings of $449 million, or $0.43 per share, versus $395 million, or $0.35 per share, in the same period last year. This represents a 23 percent year-over-year improvement in earnings per share. "CSX is off to a fast start in a year that will be dynamic and challenging," said Michael J. Ward, chairman, president and chief executive officer. "A significant majority of our transportation markets are performing very well and our operations are delivering excellent results." Revenue in the quarter improved 6 percent from the prior year to nearly $3 billion, driven by increased volume, pricing gains and fuel recovery. Overall volume was up 1 percent in the quarter when compared to the same period last year. Increased shipments in merchandise and intermodal more than offset declines in the company's coal business. The higher revenue coupled with the company's focus on service, productivity and cost control drove an 11 percent increase in operating income to a first quarter record $856 million and a record first quarter operating ratio of 71.1 percent, a 140 basis point improvement year-over-year. "Although utility coal-related headwinds are likely to be stronger in the second quarter, CSX remains on track to achieve year-over-year earnings growth in 2012," said Ward. This earnings announcement, as well as a package of detailed financial information, is contained in the CSX Quarterly Financial Report available on the company's website at http://investors.csx.com/ and on Form 8-K with the Securities and Exchange Commission. CSX executives will conduct a quarterly earnings conference call with the investment community on April 18, 2012, at 8:30 a.m. Eastern time. Investors, media and the public may listen to the conference call by dialing 1-888-327-6279 (888-EARN-CSX) and asking for the CSX earnings call. (Callers outside the U.S., dial 1-773-756-0199). Participants should dial in 10 minutes prior to the call. In conjunction with the call, a live webcast will be accessible and presentation materials will be posted on the company's website at http://investors.csx.com/. Following the earnings call, an internet replay of the presentation will be archived on the company website. Forward-looking statements are subject to a number of risks and uncertainties, and actual performance or results could differ materially from that anticipated by any forward-looking statements. Factors that may cause actual results to differ materially from those contemplated by any forward-looking statements include, among others; (i) the company's success in implementing its financial and operational initiatives; (ii) changes in domestic or international economic, political or business conditions, including those affecting the transportation industry (such as the impact of industry competition, conditions, performance and consolidation); (iii) legislative or regulatory changes; (iv) the inherent business risks associated with safety and security; (v) the outcome of claims and litigation involving or affecting the company; (vi) natural events such as severe weather conditions or pandemic health crises; and (vii) the inherent uncertainty associated with projecting economic and business conditions. Other important assumptions and factors that could cause actual results to differ materially from those in the forward-looking statements are specified in the company's SEC reports, accessible on the SEC's website at http://www.sec.gov/ and the company's website at http://www.csx.com/. 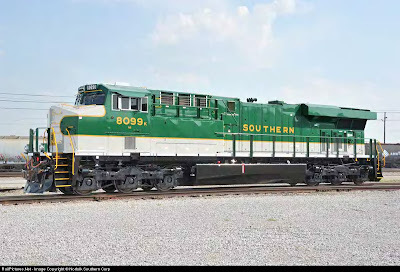 BELLEVUE, OHIO – Norfolk Southern this month will begin a $160 million project to expand its Bellevue rail yard in Northern Ohio, a project that will double the yard’s capacity in order to meet rising demand for freight rail transportation. Some 275 new railroad jobs will be added to the 700 positions currently based in Bellevue. 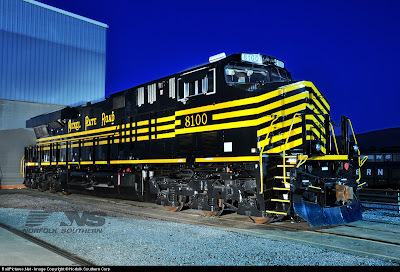 NS employs about 3,600 people across Ohio and plans to hire another 60 in the state by the end of 2012 to address attrition and shipper needs. 38 new tracks, bringing the total number of classification tracks to 80. 38.5 miles of new rail, which will allow NS to increase the number of cars classified from about 1,800 to as many as 3,600 a day. 145 miles of underground cable for communication and signal systems. 140 new automated switches to direct train traffic to the proper tracks. 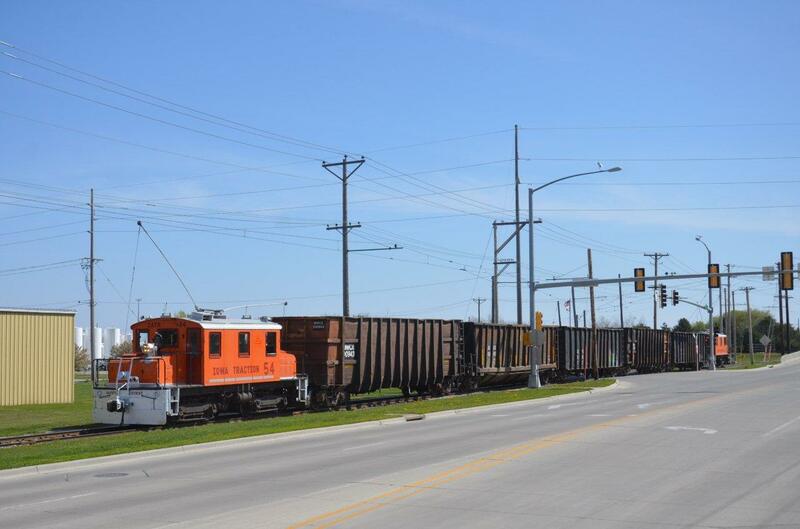 11 upgraded control points, signals that will make train access to the Bellevue facility more efficient. Bellevue is one of 12 NS classification facilities, where freight cars are collected and sorted for their final destinations. 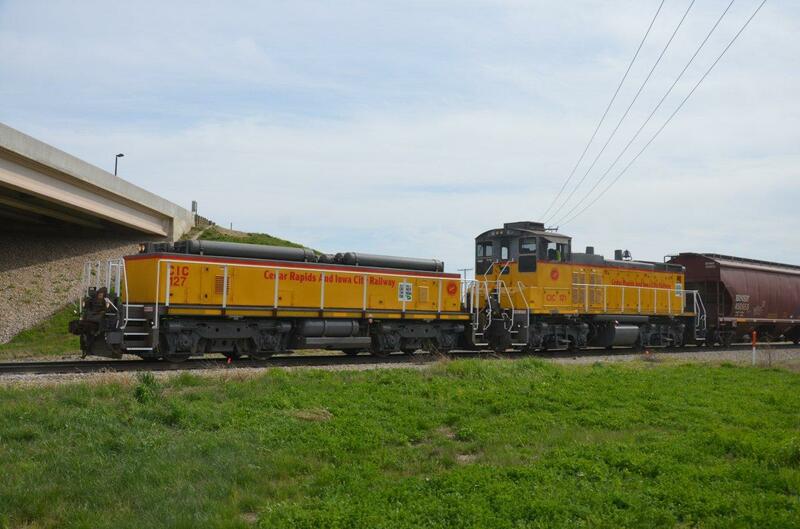 When completed in 2015, Bellevue will be the largest classification yard on the NS system. 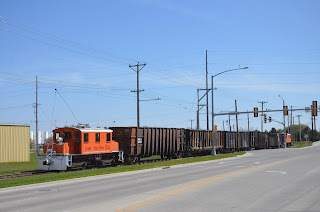 The community of Bellevue has been a railroading center since the late 19th century, when NS’ Nickel Plate Road predecessor line came to town. Bellevue Yard opened in 1966 on NS’ Norfolk and Western Railway predecessor line. Today, 100 to 110 trains pass through daily, while 20 to 30 originate in the area and a like number terminate in the area. 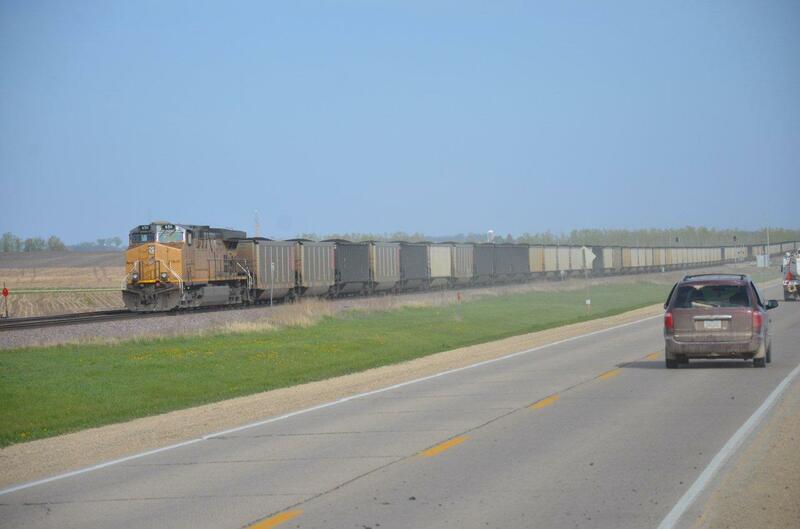 For the most part, the trains carry vehicles, vehicle parts, agricultural products, and consumer products. NORFOLK, VA. – Alabama, known for college sports, beaches, and space camp, among other things, will never be the same once Brainy, a giant, wide-eyed pink walking brain, arrives this week. 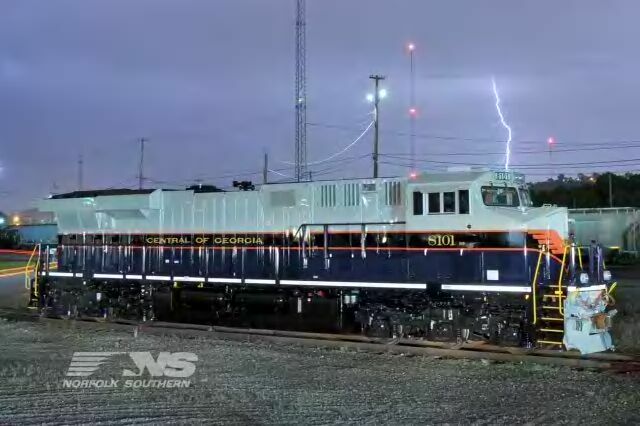 Brainy, a hapless brain in need of training, is Norfolk Southern’s public safety mascot. Brainy is part of Norfolk Southern’s “Train Your Brain” public railroad safety program, now in its sixth year. Brainy reminds people to be smart and alert around highway-rail grade crossings and to avoid trespassing on railroad property. Alabama was selected as a target for the Train Your Brain campaign because it is a high-incidence state for train-vehicle crashes and trespass injuries. The campaign will focus primarily on Birmingham, Tuscaloosa, Huntsville, Sheffield, and Mobile. The Alabama campaign will kick off in Tuscaloosa with Brainy appearing April 14 at the University of Alabama’s A-Day spring football game at Bryant-Denny Stadium. Some 4,000 incoming Alabama freshmen are receiving stress “brains,” car decals, and campaign information included in orientation packets distributed by the university. Train Your Brain safety messages will be communicated through outdoor billboards, gas pump ads, ice chest wraps, cinema ads, wall projections, Facebook ads, online banners, radio live-reads, text-to-win sweepstakes, University of Alabama and University of Alabama at Birmingham campus signage, public address announcements, and promotional giveaways. Brainy and his entourage will appear at fairs, festivals, and other sporting events. At each event, the team will share train safety tips and distribute branded giveaways, such as brain-shaped stress balls, t-shirts, coloring books, children’s activity sheets, z-cards, car decals, and pencils. Norfolk Southern launched the Train Your Brain program in Memphis in 2007, with the Memphis-based marketing communications firm Archer Malmo providing creative support and coordination. 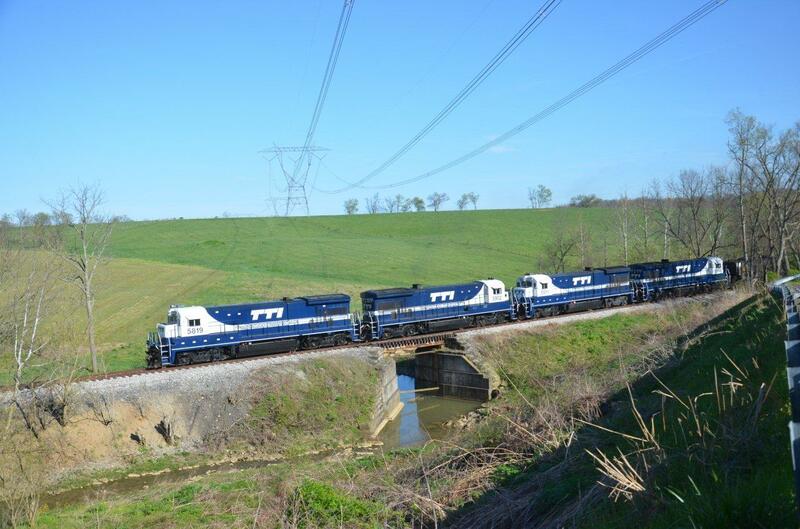 Over the last five years, Norfolk Southern and Archer Malmo have collaborated to expand the campaign to North Carolina, Indiana, and Ohio. Train Your Brain’s safety message has reached more than a half-million people through event appearances. For more information, visit http://www.brainysworld.com/ or www.facebook/BrainysWorld. JACKSONVILLE, Fla. - April 2, 2012 - CSX Corporation today launched a month-long Environmental Pursuit Facebook contest for fans to test their "Green IQ" during Earth Month. 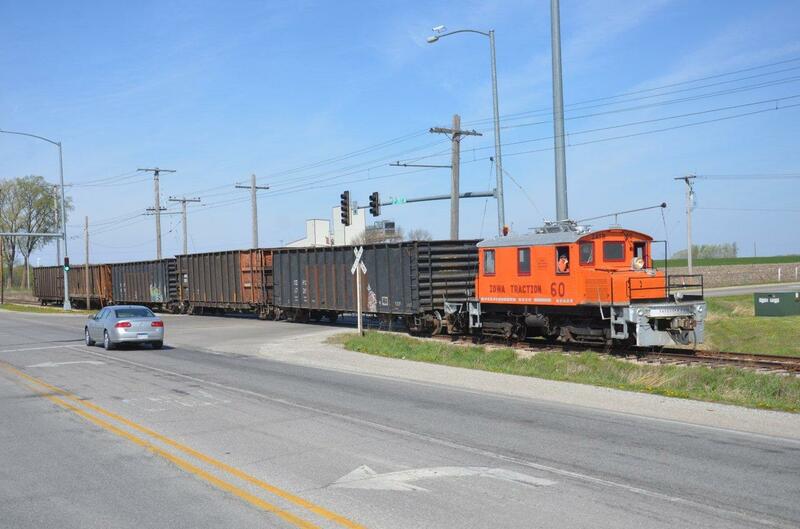 This interactive contest runs through April 30 and allows Facebook fans to assess their knowledge of environmental facts related to freight rail transportation and sustainability. Contest participants will be eligible to win a variety of eco-friendly prizes each week during the contest's duration. Three grand prize winners will each receive $1,000 furnished by CSX, and CSX will contribute $1,000 to one charitable organization selected by each of the three winners. CSX recognizes its Facebook community's dual interests in freight rail transportation and the positive environmental impact of shipping by rail. The Environmental Pursuit challenge offers the company's online followers the opportunity to learn more about these topics while giving back to organizations that are implementing significant programs aimed at enhancing environmental sustainability nationwide. Participants can enter the contest by "liking" the official CSX Facebook page and clicking on the Environmental Pursuit tab located just beneath the cover photo. Here, participants can learn more about the contest, access the official rules and test their knowledge of environmental facts. To be eligible to win one of the three grand prizes, participants must complete the "Green IQ" quiz by 11:59 p.m. EDT on April 30, 2012. If you like orange and black locomotives and sunshiny days, you'll enjoy this shot I just received, fresh from the lens of Ken Heyl of Ashland, OH. Wheeling and Lake Erie SD40-2 #6311 rolled up to the east end of the siding at the Butler Road crossing, about two miles east of New London in north-central Ohio, today, in the sweet morning light that follows a glorious sunrise. I almost have to squint to view this, the sun 'reflection' is so bright! Your face should feel warmer, after looking at this, too! Received the following from Kermit Geary, Jr. Text and photo are his. Transkentucky Transportation Incorp. (TTI) still runs coal from the CSXT connection at Paris, KY to the transloading facility in Maysville, KY. Power are these ex-CSXT, SBD B36-7's painted in an attractive blue & white paint scheme. they also roster about a dozen more B36's in various TTI and CSX paint schemes and at least one B30-7 from the BN. No U28's were visible this trip. The train will usually leave Paris in the early afternoon and return after dumping their train at Maysville. 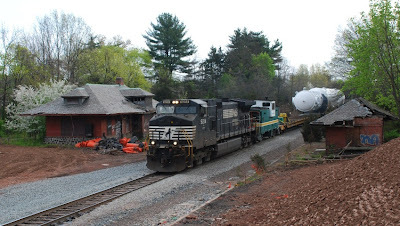 The 3/27/2012 train is seen here about 6 miles south of Maysville, KY.
NORFOLK, VA. – Norfolk Southern Corporation will present its first-quarter 2012 earnings on Tuesday, April 24, 2012, at 4:30 p.m. EDT via teleconference and live Internet webcast. The company will issue its earnings results shortly after market close on April 24. Those interested in participating via teleconference can dial 877-869-3847 several minutes prior to the call. An audio replay will be available until May 1, 2012, following the live broadcast, by dialing 877-660-6853, using PIN 2861, and replay number 391889. In conjunction with the call, a live webcast will be accessible, and presentation materials will be posted at http://www.nscorp.com/ in the Investors section. Following the earnings call, an Internet replay of the presentation will be archived on the company's website. In addition, the replay will be available for download to a portable audio player or computer as an MP3 - or podcast - file. Both the replay and MP3 file can be found on the website in the Investors section. Received the following photos via email. 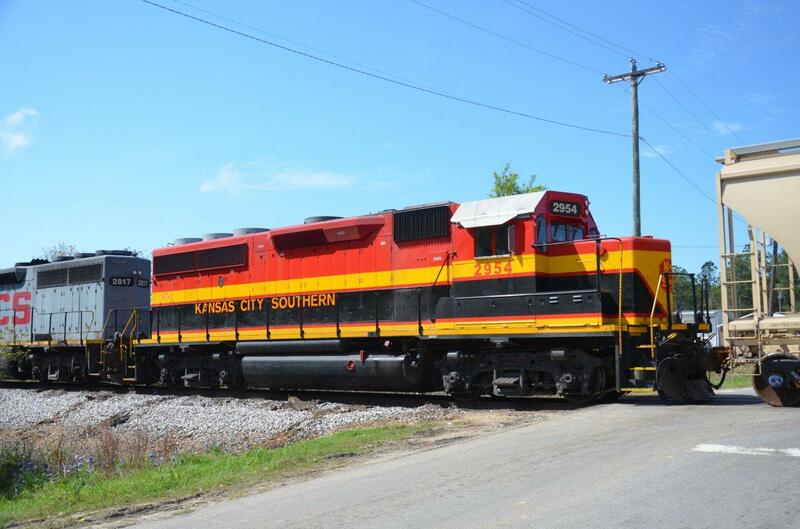 These are the first 3 NS locomotives painted in heritage paint schemes. 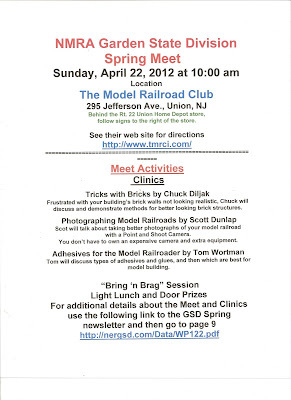 See our postings on Sunday, March 4, 2012 for more information. Spent a wild week in New Orleans...between testing the Amtrak facilities there and experiencing the night life with a good friend from Washington, DC (formerly from NJ ) and visiting good friends there. Here are a few scenes that we got from the area. Finally caught a baby-Belle in Gulfport, MS on the way into New Orleans. 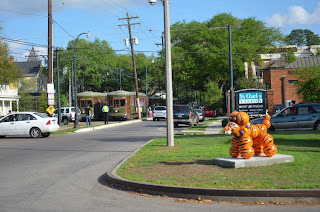 Getting access to tracks anywhere in New Orleans is very difficult...chain-link fences topped with concertina wire seem to grow and multiply over night. 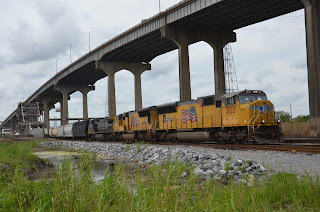 Did get some access in the Gentilly area and caught a UP powered train heading to the CSX yard. And hit two Belles on the way out of town in Shrewsbury section. 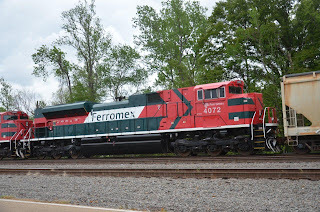 Finally a fairly new Ferromex trailing at the big UP yard in Livonia, LA. HAHAH --- OK sorry about that I couldn't resist. We just spent the weekend cleaning and decorating the train for The Easter Bunny Train Ride and Egg Hunt. its coming fast so don't miss out. Last year we sold out and many of our friends missed the ride. Ride the Easter Bunny Train Ride and visit with Mr. E. Bunny on the train. Your ride will wind along the scenic Delaware River leaving from the Historic District of Phillipsburg, New Jersey. The train will travel along the river to Carpentersville and our destination will be the site of the historic Lime Kilns. In front of the 150 year old Lime kilns is a beautiful little glade filled with Easter eggs! 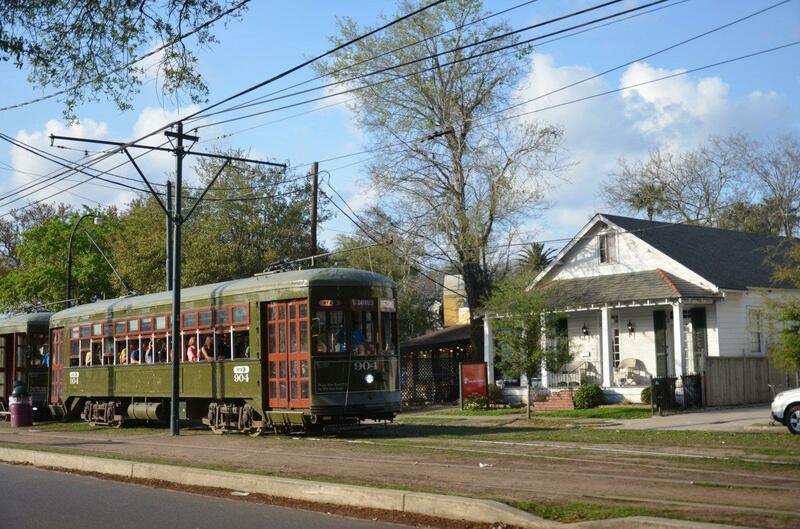 Once we arrive you can get off the train, take a picture with Mr. Bunny and gather 4 Easter eggs! On the train enjoy our banjo playing Hobo and a Juggler! March 31, April 1, and April 7. 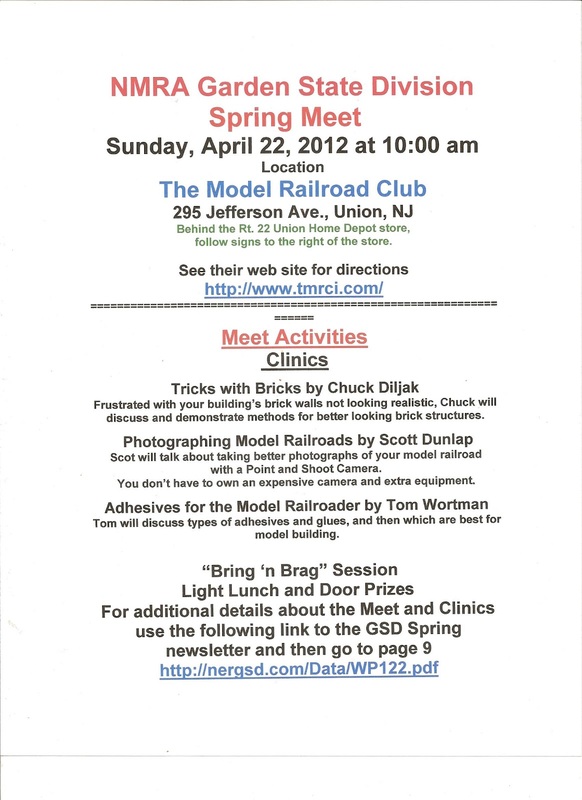 Easter Bunny Train Ride Wayne & Glen Rock trips are back for 2012! 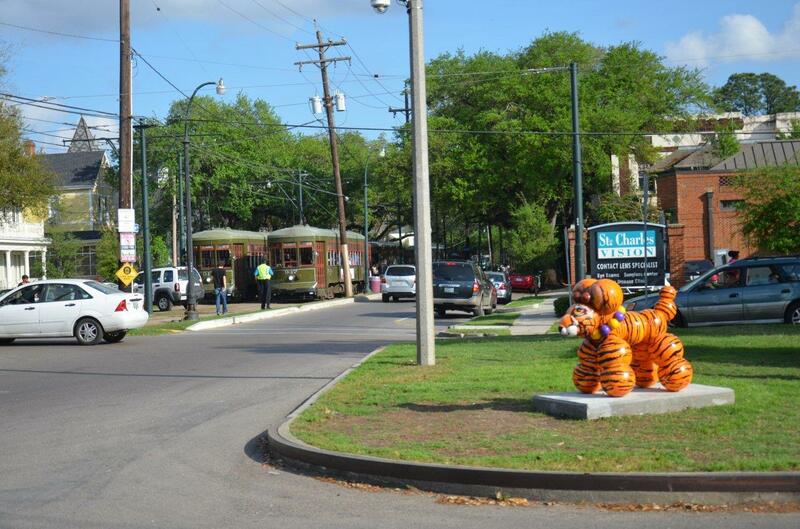 The 2012 Easter Bunny Train Ride is held on March 31st & April 1st. Tickets for these trains usually sell out quickly so don't delay!! Tickets are $9 for children under 12 & $13 for everyone else. Tixs purchased online @ http://easterbunnytrain.com/ save 50 cents each. March 31 - Wayne, Route 23 Transit Center 9:30am, 12 noon & 2:30pm. 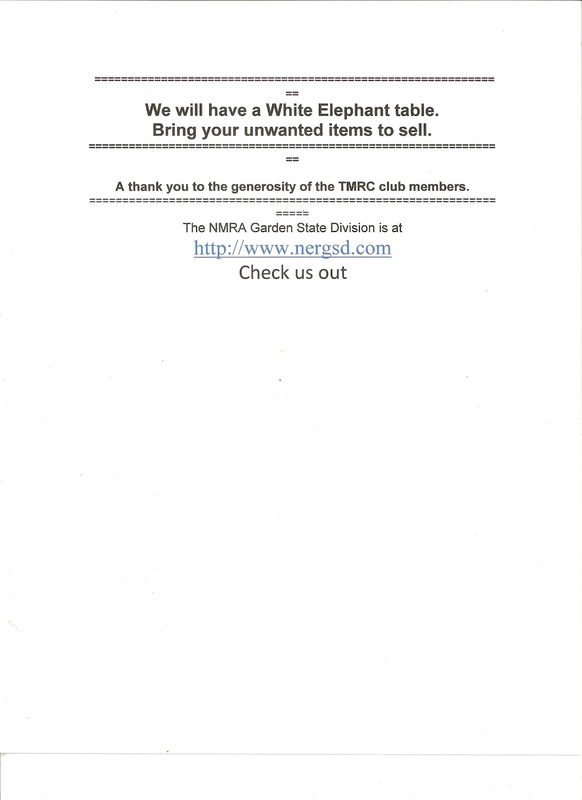 April 1 - Glen Rock, Boro Hall station 9:30am, 12 noon and 2:30pm. 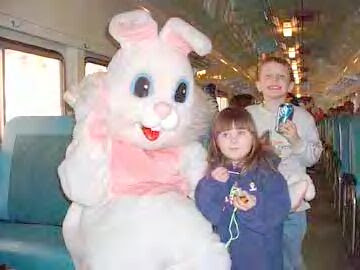 During the 90 minute ride the Easter Bunny will visit each child and give them a special gift. Bring your camera! Several costumed cartoon characters will be on board too, making it a great day! 2012 trips are funding the restor­ation of: Hamptonburgh NY Caboose Museum and the Middletown & NJ Railroad's GE 44 Ton locomotive #1. 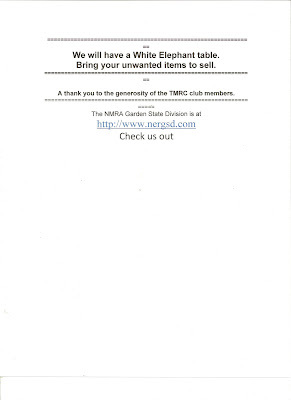 The Volunteer Railroaders Association is a federally recognized 501(c)(3) non-profit organization. Following is a press release from All Aboard Florida. MIAMI (March 22, 2012) — Florida East Coast Industries, Inc. (FECI), the owner of Florida’s premier passenger rail corridor, is developing a privately owned, operated and maintained passenger rail service to connect South Florida and Orlando, which will be operational in 2014. By connecting the most visited city in the United States with South Florida’s business and vacation destinations, the passenger rail project, called All Aboard Florida, is designed to serve Florida’s growing number of business travelers, as well as families and tourists traveling for pleasure. The All Aboard Florida passenger rail project will connect South Florida to Orlando through a 240-mile route combining 200 miles of existing tracks between Miami and Cocoa and the creation of 40 miles of new track to complete the route to Orlando. Eventually the system could be expanded with connections to Tampa and Jacksonville. More than fifty million people travel between South and Central Florida annually, largely over highly congested highways. All Aboard Florida is envisioned to transform the way people travel throughout the state, offering a faster, safer, and more enjoyable mode of transportation between Florida’s two largest metropolitan areas. (4) PROTECT EXISTING FREIGHT CAPACITY—the new passenger service will not affect freight capacity in the rail corridor, thereby supporting Florida’s role in international commerce and allowing more intermodal freight movements. By adding an entirely new travel choice, the All Aboard Florida passenger rail service will provide a high-quality experience for travelers. The system will include business- and coach-class service with advance purchase reserved seating, gourmet meals, Wi-Fi, and the ability to work productively throughout the entire trip. In addition, stations in Miami, Fort Lauderdale, West Palm Beach and Orlando mean convenient transfers to Metrorail, Metromover or SunRail, allowing passengers to reach their final destination. FECI began a feasibility analysis for the project several months ago. Additionally, an investment grade ridership study and engineering work to design the system are underway. Today’s announcement marks the beginning of working in depth with local, state and federal officials, as well as the communities along the route. Florida East Coast Industries, Inc. (FECI), through its subsidiaries and affiliates, is a major owner and developer of real estate and transportation-related businesses within the State of Florida. Headquartered in Coral Gables, FL, FECI has a rich history dating back over a century when Henry Flagler first established the company and became a pioneer in the development of Florida’s eastern coast. 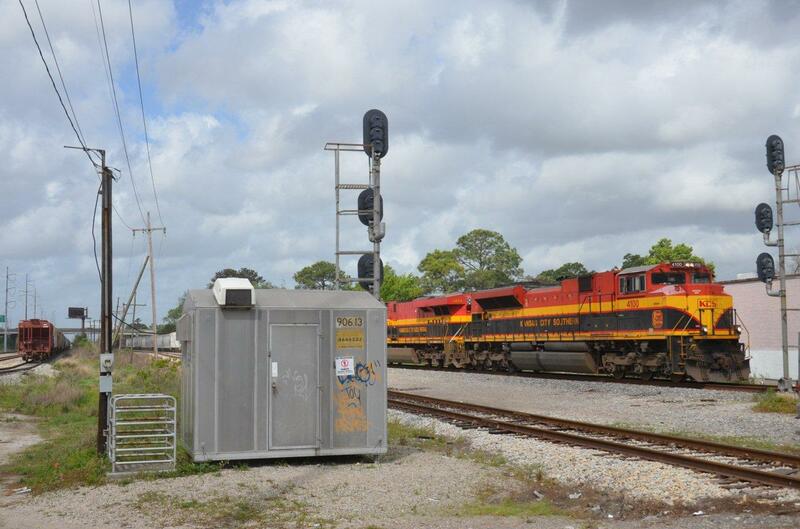 Today, the company owns, manages, develops and leases commercial real estate properties, and its affiliate, the Florida East Coast Railway, L.L.C., owns the railroad over which freight is transported. All Aboard Florida is an intercity passenger rail project that will connect South Florida to Orlando with intermediate stations in Fort Lauderdale and West Palm Beach. This rail service will give Floridians and visitors a viable transportation alternative to congested highways and airport terminals. All Aboard Florida will provide a high-quality experience for passengers and will be the first privately owned, operated, and maintained passenger rail system in the United States. With the weather forecasts calling for increasing clouds and showers on Saturday afternoon, I decided to take advantage of what little sunshine there was going to be on this day and get my trackside time in this morning. 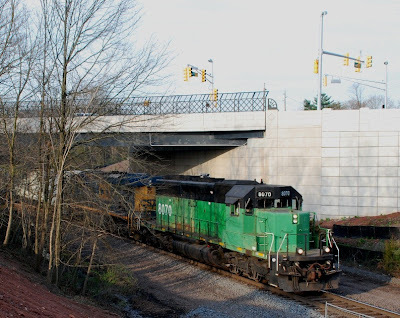 My destination would be the old Route 206 bridge site to see what was running along CSX's Trenton Line. It wouldn't be long before the first train would head east towards Manville. CSX Q300's leader would be a nice surprise for me. 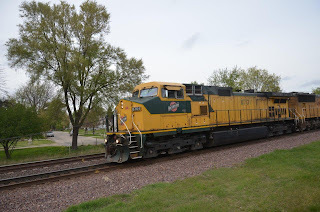 It was HLCX 8070 (ex-BN 8070; SD40-2) with CSX 740 followed by a short conssit of mixed freight passing by my location around 8:23. About an hour later, the headlight of another eastbound CSX approached my location. It was CSX 410 and was seen from what used to be the waiting area for eastbound Reading passenger trains. 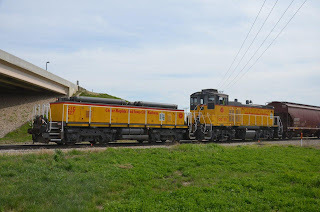 Motive power on this mixed freight was CSX 560 and CSX 762.